Unlike in the U.S., European online poker sites have few hurdles to jump when catering to players. Those who live in most European countries can play without worrying whether their favorite site will be up and running tomorrow, or seized by the government. Yet, more options means it’s more difficult to distinguish between Europe’s best poker sites and those that are less reliable. We’ll help you sift through the crowd below. Play European Poker with Bodog.com– Use promo code “130347“ and earn 110% match up to $1,100 on your first deposit! On this page, we’ll take a look at some of the differences between playing at European poker sites and doing so at poker sites in the U.S. Some things have changed over the last couple of years while others have remained surprisingly consistent. At one time, poker players in the U.S. could rightfully claim that they drove most of the traffic in the online poker industry. This was true when Poker Stars and Full Tilt still operated there. Today, things are different. The large sites have been forced to migrate away from the U.S. market, and European poker sites online now draw a majority of the volume. If you live in Europe, that’s good news since more traffic at the tables means more action and larger tournaments. Another difference involves the playing style between players in the U.S. and those in Europe. In the U.S., skilled players devote a lot of their attention to the preflop action. They’re more likely to bet strong hands and fold weak ones rather than calling into the flop. In Europe, players seem more willing to go past the flop. There are a lot more calls, as well as fewer folds, preflop. An area in which the difference between U.S. and Europe poker sites online has diminished is with customer support. Long ago, support personnel at European sites was less responsive. For example, phone calls were not always answered by a person. Responses to support requests submitted via email were slow, often taking an entire day. By contrast, the U.S. sites seemed to place a higher priority on support, answering phones and responding to emails around the clock. Today, Europe’s best poker sites are very responsive, rivaling those in the U.S. When you play at poker sites in Europe, you’ll have access to more banking options than are available to players in the U.S. This is because there are fewer restrictions on financial institutions and payment processors. For example, Click2Pay and Moneybookers, both unavailable in the U.S., are available in several European countries. Also, credit cards are a much easier funding source to use in Europe. The biggest Europe poker sites online make several languages available in their poker software. It doesn’t matter whether you wish to see content in German, Spanish, Italian, or French (or English). Because the high-profile sites draw players from across Europe, they offer software designed to accommodate a wide range of preferences. Also worth noting, you’ll be able to fund your accounts using multiple currencies (dollars, Canadian dollars, Euros, etc.). But find out which currency is the default, so you can calculate exchange rates when depositing and withdrawing your winnings. Bodog.com – Bodog has consistently shown itself to be reliable. They focus primarily on the most popular games (Texas Holdem, Omaha, Stud, etc.) while maintaining a healthy, around-the-clock tournament schedule. You can participate in limit and no-limit MTTs, single-table Sit and Go’s, and guaranteed tournaments. Bodog is a good training ground for new players, and a fish tank for those with experience. While traffic volume is lower than that which you’ll find at Poker Stars, there are plenty of populated tables at the lower stakes. Visit Bodog.com today, and use promo code “130347” to grab a 110% match up to $1,100 on your first deposit. Also be sure to read our fulll review of Bodog.com to take a closer look at this online poker site. Poker Stars – They made their name by becoming the biggest poker site in the world. Even today, after leaving the U.S. market, they dwarf the second-largest site in terms of player traffic. One of the strategies PokerStars used to dominate the industry was to offer a huge list of games and tournaments, including the largest guaranteed poker tournaments online. Their weekly “Sunday Million” offers a $1,000,000 prize pool (sometimes much larger) and draws players from around the world. You’ll also find SNGs, MTTS, bounties, knockouts, turbos, and deep stack events. 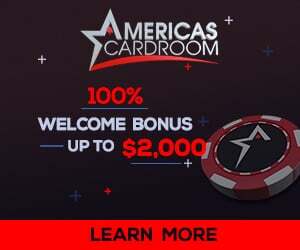 Visit Poker Stars, and use promo code “stars600” and marketing code “kickasspoker.com” to claim a 100% match up to $600. For more information about the European Poker Site, check out our PokerStars.com review. Party Poker – Before Stars overtook them, Party Poker was the titan of the online poker industry. They commanded more traffic volume than any of their competitors. While their place at the top has since been usurped, they continue to be one of the largest poker rooms online. There’s plenty of action in the SNGs and MTTs, with other tournaments (e.g. shootouts, heads up, bounties, etc.) also drawing crowds. Party Poker extends an enormous list of ongoing promotions, including freerolls, weekday guaranteed events, and their “50 Seat Frenzy.” Visit Party Poker, and use promo code “yesyes” to take advantage of a 100% match up to $500. Click here for our PartyPoker.com Review. European online poker has always been more open than in the U.S. We recommend visiting the three sites above to enjoy a fun, reliable, and rewarding poker playing experience.